Visit us at our new website!!!! Make sure to sign up on our mailing list so you don't miss any seedy announcments!! Make sure to like us on facebook too!! 9:00 am-12:30pm – Seed Library OPEN for checking out seed. Drop in anytime between these hours to check out the hundreds of varieties of locally grown seeds!These seeds are free for home gardeners. 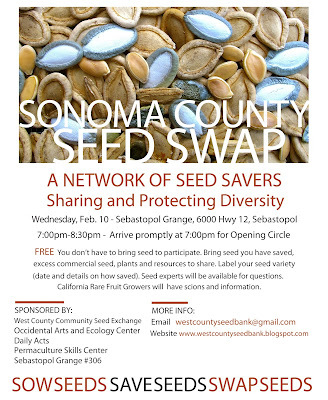 We hope that you will learn how to save your own garden seeds and bring seeds back to the exchange in the coming seasons. 9:00 - 12:00 –SEED Garden WorkParty – The SEED Garden is moving and expanding!! Weather permitting we will be taking apart the old garden boxes and fencing. If rainy we will processing dry seeds for the SEED Library. 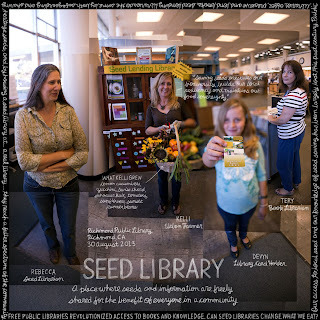 NO Class this month- we will be spending our time this month working in garden and in seed library. Support a resilient home grown sharing economy! Explore the many varieties of heirloom shelling beans and taste of few of our all time favorites. Learn how to nixtamalize dry corn with our Painted Mountain corn for tortillas and hominy.We'll also learn how to process quinoa and will sample some Brilliant Light Quinoa grown in the SEED Garden. We'll also make chili powder from the Chimayo Pepper . Demonstration and tastings in the church kitchen followed by a harvest pot luck. Bring a dish to share! Please bring your own plates and cutlery! 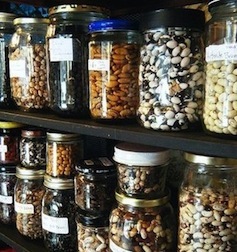 9:00 - 11:00 – Seed Library OPEN- drop in anytime between these hours to check out the hundreds of varieties of locally grown seeds!These seeds are free for home gardeners. We hope that you will decide to learn how to save your own garden seeds and bring seeds back to the exchange in the coming seasons. Also bring in your seed to deposit in the library. Pick up seeds for your late fall planting like Beets, Lettuces, Fava beans, lots of flowers and herbs too! 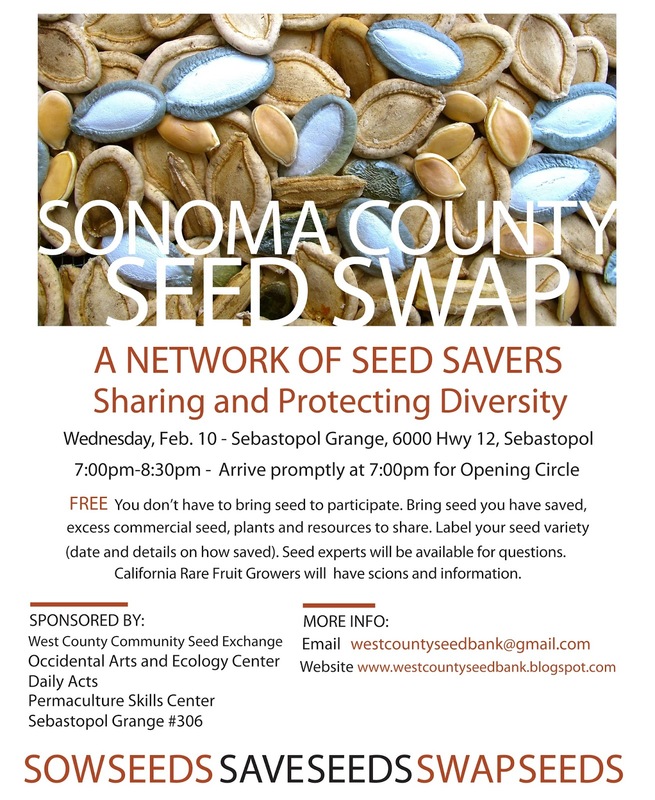 Community Seed Exchange- Creating a grassroots community seed exchange that supports Sonoma County gardeners with free, locally grown, open-pollinated, pesticide and GMO-free seeds. 9:00 - 10:30 –SEED Garden – Grab a shovel and join the garden crew or just wander about and appreciate the fabulous SEED Garden in front of the church where we are growing seed for the community- Giant Mongolian Sunflowers, Painted Mountain Corn, Sweet Valentine Lettuce, Yellow Sunshine Beans, Amaranth and Quinoa and much more! Pick up seeds for your late summer and fall planting like Beets, Lettuces,Bok Choi, Brassicas and other greens…lots of flowers and herbs too!